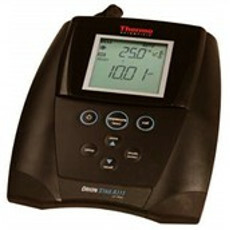 Thermo Scientific Orion Star A111 pH Benchtop Meters combine simplicity with accuracy. A large LCD displays pH or mV readings along with temperature. Icons provide quick updates on battery life, electrode status and calibration information. Simple button layout and onscreen messages help with calibration and setup menu choices. Find online auctions and classified ads for benchtop pH Meter on LabX.